Chobots Pets and Animal Masks Now Ready! Ok Chobots pets are WAY cool! They are freaky cool! Here is how you can get one! Step 1. After you pick a sever, click on "Pet Shop." Step 2. 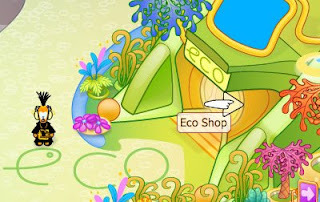 Now click on the "Eco Shop." Step 3. Now go talk to the "Pet Constructor." Check out my pet "Twinky"! 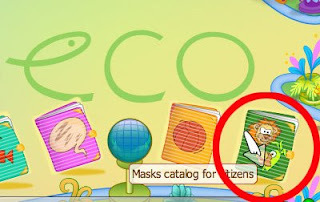 Go back to the Eco Shop and click on the Mask Catalog. Yeah, I like the Zebra one! Here's a pretty cool short video that explains Chobots. I have a very mysterious "link" I found on Club Penguin. I'll tell you tomorrow! Check back! Don't Forget the Big Planet Cazmo Concert Party! It's going to be sweet! It's SUNDAY MARCH 1! CLICK HERE FOR MORE ON THE PARTY NOW. Pretty Sweet. Go look at the Migrator sign on the back of Rockhopper's Ship. It's at the Beach. The word "Migrator" is glitching with the word "Migratuer" which is the French word for Migrator! They'll probably fix it soon so hurry, go check it out! thanks, Stickers303, Leggofmyeggo and Confupenguen! New Club Penguin Pin Cheat - O' BERRY PIN! Step 1. Go to The Ice Cube. Step 2. Now click on the O' Berry Pin! NOW YOU HAVE THE NEWEST CLUB PENGUIN PIN, O' BERRY PIN! Now go find Rockhopper! Happy Rockhopping! Rockhopper is back with New (Old) Free & Hidden Item! Rockhopper is back on Club Penguin. I WILL find him. He brought back the Treasure Map Background, but it's not new. Bummah. Here's how to find the free item cheat. Here is how to find Rockhopper's free item. Step 2. Click on the Light House. Step 3. Go on Rockhoppers ship, The Migrator. Step 4. Go into the lower deck. Step 5. 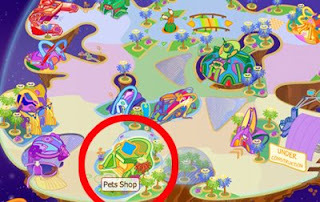 Click on Rockhoppers map in the lower right. Ok, now click on the "X" on the map and you will find a hidden item, the Porthole! So very sweet. Oh and here's a White Puffle Sighting! Thanks Puffy61, KYROID and nauditt19! Check it out! On rockhopper's bulletin board there is a little white Puffle in the picture. seeeeee it? And oh, yeah. YARR IS MISSING!!!!!!! Thanks, KYROID. Ok there are two theories. One is the evil pirates have taken Yarr! So now what?! Rockhopper's gonna be MAD! OR Yarr is with Rockhopper walking around because his To Do list says"Take Yarr for a walk". So if you see Rockhopper and he has Yarr with him, let us know! Thanks, Frank. Rockhopper will be mine! MUHAHAHAHA! 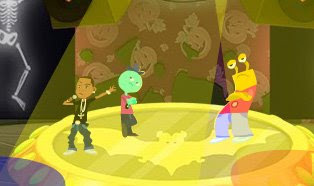 Planet Cazmo Concert Encore Bonanza! This Sunday, March 1, check out the Planet Cazmo Arena and watch your favorite artist perform again for all their loyal Planet Cazmo fans! Have you been to one of these concerts yet? I haven't. This will be our first one! SWEEEEET! 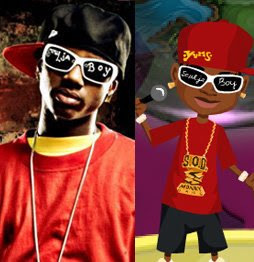 I really like that Soulja Boy Song "Crank That!" I hope he plays it! WOOT! CLICK HERE TO CHECK OUT PLANET CAZMO NOW! Club Penguin White Puffle Captured! Whoa! 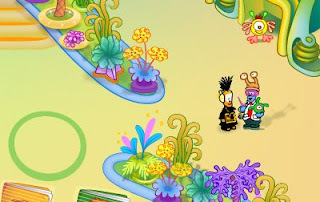 Look what EA12345 found today while playing Puffle Round-up. The white puffle is no longer at the Dojo or the Mountain, but, you can catch it in the Puffle Round-up game. It looks like the pet shop is gathering the white puffles so they can be purchased soon! Let me know if you see a white puffle any where else. Club Penguin Mimo Puffle Caption Contest Finalists! Here are Club Penguin Mimo Puffle Caption Contest Finalists! Pretty Funny I think! Here is the picture again. Here are the finalists! Vote for the best one! Red puffle should say "Feed Mimo! Throw a bowl of delicious cereal!" i think it should say "purple purple purple purple orange purple wait WHAT! oh its just mimo. "purple, purple, purple, purple, orange, pur....ORANGE!!!!" "Who would know that even puffles worchip Mimo, they even have their own little Mimo costume!" Oh no! I better go get my cereal box! It's Mimo feeding time! Wrong hole buddy! Pool's the other way!" Look at this wild puffle. Shhh. He can be startled easily. He is usually feeding in the forest but when there is free food he is all for it! This type of rare puffle is called the "Mimo". When I was writing this I was thinking that when the puffle was talking, he should be talking in an Australian accent! "I told you it hurts when they shoot in your mouth!" Red puffle: Hmm... So many chocies! Lol looks funny heres my caption thingie "That'll teach you to not take care of your puffles mimo!" What is that exotic creature doing in the puffle feeding? I wonder if he bites? Holy Hot dogs its MIMO and how am i talking"
Red Puffle Taking Attendence of purple puffles: purple, purple, purple, mimo, .... wait a second. I'm going to need a bigger O-berry. Mimo777? No im not fallin for that trick again, thats how I got in the Pet Shop. Now I know puffles like flushing things down toilets, but they've pushed mimo a wee bit to far! Red Puffle: Sorry Mimo, but I'm all out of Mimo-o's!! Ooooh a puffle dressed as mimo, wait a minute... IT'S NOT HALLOWEEN!!! Red Puffle: "(Whistles) Here Mimo,Mimo,Mimo! Here boy!" Vote for the best one now over on the poll on the left! White Puffles, Rockhopper, Mimo and other Stuff! Whoa! Enough alreaDy! Sheesh you wore us out on the caption contest! LOL! My eyes hurt from approving comments! Ok now we have to read 100 squizillion comments to pick the good ones! Can you help? Pick out some good ones and ONLY THE GOOD ONES and leave a comment, k? Or will you just send another 49 kabillion comments? I'm going to guess it will be available to buy for the BIG SNOW PARTY in March! So they are really "Snow Puffles!" Do you think I'm right? Club Penguin Mimo Puffle Caption Contest! LOLZ! To celebrate the Puffle party here is a cool sweet contest! Check out the picture below and come up with something that the Red Puffle would say! That's it! Just leave a comment and Mimo and CPG will pick the best ones! PLEASE DON'T EMAIL ME! JUST LEAVE A COMMENT! We Probably will NOT give away prize but I will post your penguin name! I THINK MAYBE I might still have a coin left I MIGHT give away if I can find it. But don't hold me to it, k? White Puffle in Video AND SOMETHING ELSE?! Ok, so it seems like it's White Puffle Weekend at Club Penguin huh?! So now we can see a white Puffle in the video! WOW! So what does this mean? 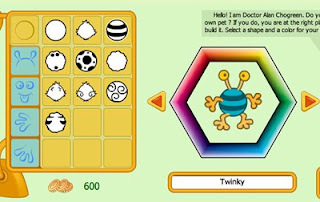 That there are really white Puffles? We already knew that didn't we. But it's still pretty cool. 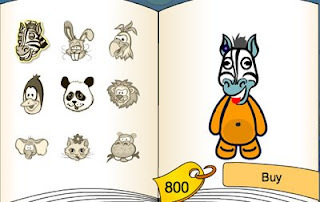 But if you look closely at the video picture you can see the invisible orange, rainbow, zebra puffle! (JK) And if you look really closely you can see a parrot on his shoulder! AMAZING! ;-) He is eating something too. What is it? What can you see? Come on add to this weird story. White Puffles Spotted In Club Penguin! Screenhog's History Of Club Penguin Puffles! Club Penguin Puffle & Pirate Mystery! New Mysterious Club Penguin Puffle Color?! Club Penguin Puffle Party Update! 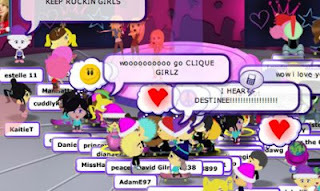 Mimo Hidden Club Penguin Quickee Party Was SWEET! Do You Care about Puffle Care and Stuff? Club Penguin Get Members Clothes Glitch! 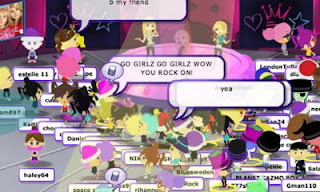 Mimo's Valentine's Day Planet Cazmo Party ROCKED! Club Penguin Puffles Now Play! New Costume Catalog Sweet Cheat! Club Penguin Stage Artist Interviewed! 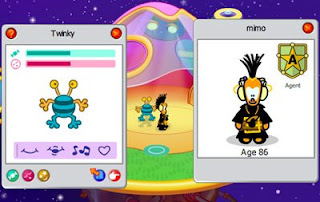 Mimo Club Penguin 2 Room Quickee Party! 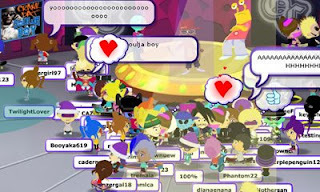 Valentines Day Secret Mimo Planet Cazmo Party! Club Penguin Now In French! Club Penguin Toys Mix N Match Series 2! You Can Now Be a Citizen on Chobots! Mimo Had a Rockin Quickee Party Tonight! Screenhog Makes Stuff on Club Penguin! Club Penguin Style Catalog Update! Club Penguin Puffles Will Rock February! Who's going to win the Super Bowl?